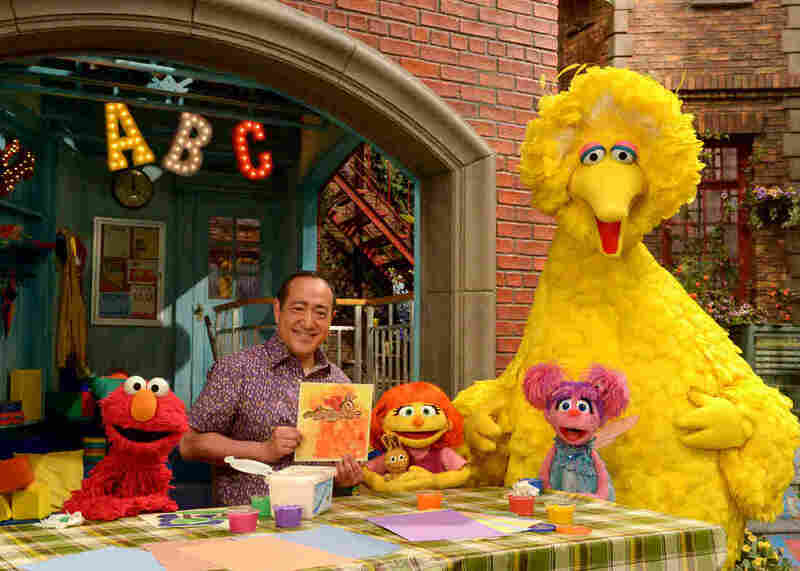 Julia (center) first appeared online and in printed materials as a part of Sesame Street's See Amazing in all Children initiative. She'll now appear on TV as well. From left, Elmo, Alan Muraoka, Julia, Abby Cadabby and Big Bird. "Man, I really wish that kids in my son's class had grown up with a Sesame Street that had modeling [of] the behavior of inclusion of characters with autism," Gordon said. Abby joins Julia, Sesame Street's newest friend, in singing a show favorite, "Sunny Days."